We are less than two weeks away from the celebration of Easter and let me tell you, we have a wonderful time of prayer, reflection, worship, and celebration planned for you. This is the time of year when we hit pause on all the other events and activities that distract us from our Savior and give specific attention to His last supper with the disciples, His prayer in the garden of Gethsemane, His scourging at the hands of the Roman soldiers, His death on a cross, and ultimately, His resurrection that proved not even death could defeat Him! Amen!! All of these events in Scripture were the fulfillment of prophecy that proved beyond a shadow of a doubt that Jesus was and is the Messiah. This Sunday we will celebrate Palm Sunday. When Jesus entered Jerusalem riding on a donkey he was surrounded by people who shouted, “Hosanna!” Pastor Paul will be preaching this weekend and sharing the events that brought Jesus to this Triumphal Entry. The last supper took place on the evening before Jesus’ crucifixion. He sat with his disciples at the table and had a meal with them, he washed their feet, and he also told Judas to go do what needed to be done. Before he was arrested Jesus went to the Garden of Gethsemane and prayed so that his heart and body would be willing and able to submit to the will of the Father. On Thursday, April 18 @ 8:00 PM I am asking New Hope members to join me in a 24 hour block of fasting and praying in remembrance of this blessed time. On Good Friday we will come together in the sanctuary for a time of worship and prayer. The elders and staff of New Hope have prepared a time where you can pray at different stations throughout the sanctuary. Communion will be a part of this service and will serve as the supper that breaks the 24 hour fast. There will also be Scripture reading and prayer from the elders of New Hope and our pastoral staff. The pastoral staff will lead worship so that all members of the church body can participate in this holy time. The worship will be softer and more reflective as we mourn the death of our Savior, but as the evening draws to a close we will begin to look ahead to the celebration of His resurrection! 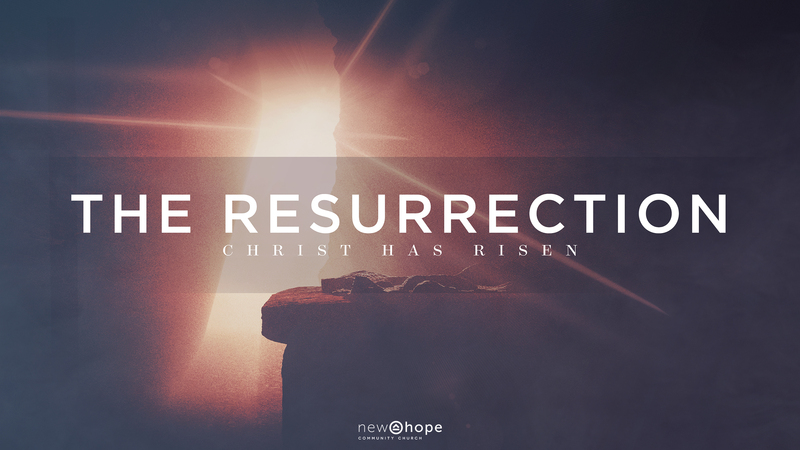 On Easter Sunday we will gather at 10:00 AM for one worship service to celebrate the resurrection of Jesus Christ! Invite your friends and family to participate in this glorious time. We have 20 members of the church body who will be joining the worship team on that day. We will have a mixture of old and new songs as a part of this worship experience and we want to invite you to listen to and learn these songs in advance so you can come prepared to sing with all your heart on that day! This (Palm) Sunday we will have Invite Cards on the pews that you can take and give to your neighbor as an Easter invitation to New Hope. Let’s live Life on Mission and reach out to our friends and neighbors who don’t have a church home. You never know what God may be doing through you! Stay up to date with all upcoming events and news by subscribing to our weekly newsletter. The New Website is Here! And the Christmas Talent Show is Coming! We Have a new Nursery Director!